Synonyms: Monadenium fanshawei P.R.O. Bally. 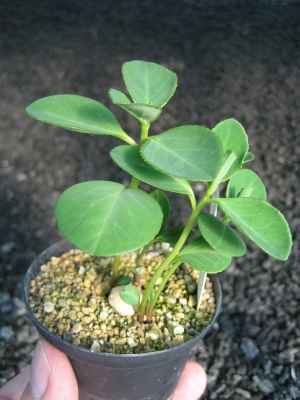 This member of the Euphorbiaceae family was given this name by Peter René Oscar Bally in 1959. It is found in Tanzania and Zambia, growing in grit or a well drained soil with some water and some sun. 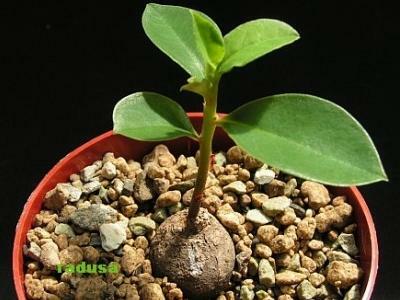 The caudex can grow to six centimetres in diameter, the annual stems up to 50 or even 90 centimetres height. The flowers are white to pink.